As the days grow lighter and the plants on my window sill spring to life, I itch to make a clean start in my wardrobe too. After over a year of hardly any clothes shopping, the time feels ripe to do a proper spring clean. I am aiming for a spring/summer capsule wardrobe, but reaching a specific number of items or settling on a clearly defined colour palette is less important to me. My aim for a seasonal capsule wardrobe is pretty much the same as my long term aim for my wardrobe as a whole. I want a minimal, functional collection of clothes, ethically produced and made to last. A mix of handmade and bought items that fit my body and my lifestyle. No more, no less. Now, that takes time. And money. Whether thoughtfully buying or making by hand, building a beautifully curated collection of clothes is a slow process. So I don’t expect to reach perfection in one go, but it does help to know the general direction I am aiming for. For instance, I don’t want to rush out to buy cheap, poor quality options just to fill up my ideal number of tops or dresses. On the other hand, I am not going to afford to buy a slik dress from Elizabeth Suzann either, however beautiful and “good” it may be. As always there is a balance between the real and the ideal, and we each need to find our own sweet spot. Before starting the actual capsule planning, I wanted to get an overview over what I have actually got. Marie Kondo style, I took out every single piece of clothing from the chest of draws and cupboard where I keep my clothes. Then I went through them one by one. Only the pieces I actually use, desperately need or truly want in my spring/summer capsule went back in. That left 28 items, not including underwear, accessories, jackets and shoes. The best thing about cleaning out your wardrobe is putting the items you have chosen to keep back in. Suddenly every item seems precious. You no longer have to mentally sift through the wearable and non-wearable items each time you open your wardrobe. Immediately, you get an overview of what you have got, what gaps need filling and what colours dominate. In my case, I realised I have plenty of jumpers and light summer cardigans, perhaps more than I need. But the trouser situation is pressing as none of my jeans really work. I also noticed I have unintentionally a fairly cohesive colour palette going: white, turquoise, blue, brown, grey and pinky-aubergine. The remaining items that are not suitable for warmer weather, don’t fit or for some reason I rarely use, I have stored in a plastic box to go out of sight until winter. I have been through my clothes several times over the last few years, and finally this time round there was nothing I wanted to threw out or give away. However, I did have a pile of clothes from a previous clean-up which I have been meaning to re-purpose. These are now officially labeled fabric and stored in the (bulging) fabric box. I started cleaning out my wardrobe feeling frustrated and uninspired about my clothes, like I had nothing to wear. Now, the spacious, airy feel of my cupboard and chest of draws has completely shifted that. I have less items in there, but still I feel I have more options when getting dressed. And that is despite some pretty awkward gaps remaining to be filled. Interesting. Addressing those gaps will be next. I love cardigans. They are wardrobe work-horses: easy to layer, easy to dress up or down and as useful on cold Winter days as chilly Summer evenings. 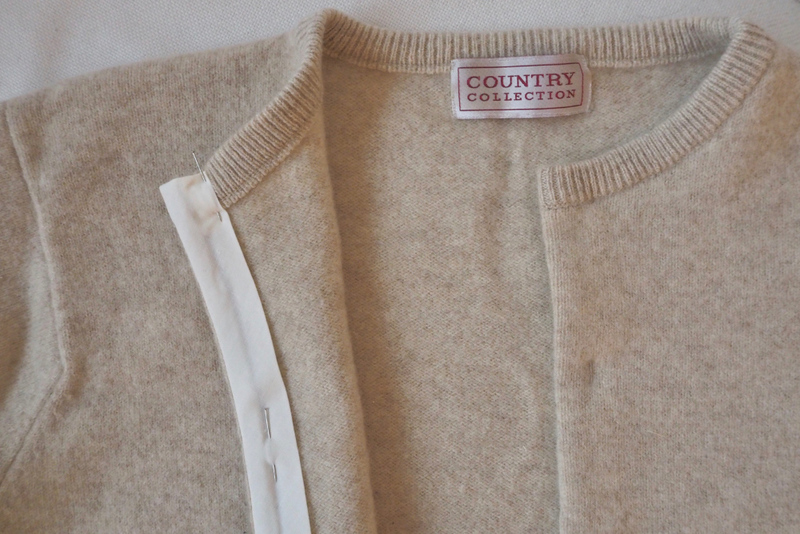 As it happens, I inherited this cream-coloured, woollen pullover from my Grandmother about a year ago. And while I had used it quite a lot as it was, what I really wanted was a cardigan. So why not refashion it? Find the centre of the jumper by measuring across the top and bottom. Draw a line or sew a seam of basting stitches to mark the centre front line. On either side of the centre front line, sew a seam of zigzag stitches. I used a 3-step zigzag stitch. This step ensures that the fabric doesn’t unravel once cut, but it may not be necessary if your jumper is a tightly knit wool. A little tip to avoid stretched out, wavy seams when sewing with knit fabrics: try reducing the pressure of the pressure foot on your sewing machine. Cut along the centre front line, between the two zigzag seams. Attach a band of cotton ribbon or bias binding to the back on each side. This helps stabilize the button band when you later sew buttonholes and buttons. I used bias binding. You then line up the cut edge of the jumper and the raw edge of the bias binding so that right sides are facing, leaving an extra 2-3 cm of bias binding at the top and bottom. Sew a seam along the fold line of the bias binding. Next, fold under the ends at the top and bottom, and fold the whole binding to the back. Pin and press. Finally, sew the band in place by hand for a neat, invisible finish. Do the same for the other side. If you are new to bias binding, take a look at this tutorial. The same principle holds here, except that you are sewing a straight seam instead of joining for a neck line, and finally attaching the band by hand instead of by machine. Mark where you want your buttons, and sew the buttonholes. My top buttonhole is a bit wonky due to the extra bulk of fabric at the collar. 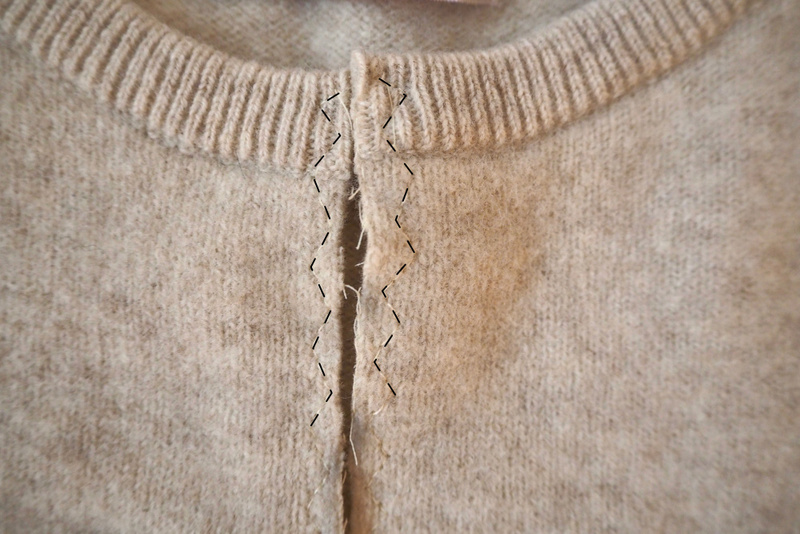 To avoid a similar problem, you could move the buttonhole further down, or sew it by hand. Finally, sew on your buttons, and you are done! In the first part of the Ethical shoes guide I talked about all the hard questions around sustainable and ethical shoes and gave you no clear answers. Now, here is what you have been waiting for: a list of 14 more ethical and sustainable shoe brands. Bear in mind that this is not a comprehensive list, but simply the brands I have come across in my own search for more ethical shoes. If you know of others deserving a mention, please share in the comments! Also, none of the brands listed are perfect. So, don't forget to think for yourself. Right, let's go! Trainers, flats and sandals for men and women. Headquarter in Germany, production in Pakistan, India and Sri Lanka. Starting out as a sports brand, with the first fairly produced football on the market in 2004, the company has since 2007 produced shoes using its existing supply chains. It sources natural rubber from FSC (Forest Stewardship Council) plantations on Sri Lanka, certified organic cotton from India and was certified in 2010 with the fairtrade seal for organic cotton. At the manufacturing facility in Pakistan Ethletic has implemented its own scheme, where it pays an additional 15% of the value of their orders to an employer-represented elected body or “welfare society”. The society uses these extra funds for social benefits of their own choice, like health insurance, doctor visits, clean drinking water and so on. On Rank A Brand’s dutch site Ethletic was rated with a B.
Trainers for women, men and kids. Headquarter in France, production in Brazil. The shoes are manufactured in Brazil and made of organic cotton, recycled materials, natural rubber from the Amazon, and “low chrome” leather. The association of cotton farmers they work with are fairtrade certified. There is a fair bit of information about their commitment to sustainability on its site, including prices on natural rubber and cotton, and social audit reports from their manufacturing facilities from 2008 and 2009. The company also openly acknowledges some of the challenges it faces with respect to its production. In Rank A Brand’s test Veja was rated with a C, doing well on labour conditions and environmental protection, though facing the complaint that its sustainability reporting should be more up-to-date. 40+ sustainable shoe brands for men, women and kids. Avesu brings together a wide range of ethical, sustainable and vegan shoe brands with everything from trainers and hiking boots, to lace-ups and heels. Avesu ensures the brands they stock meet its standards of fair working conditions by inspecting the brands' non-EU supplier factories. The company states that the majority of the shoes are sourced within the EU where there are already strict laws to ensure fair working conditions. However, as mentioned in the first part of the Ethical shoes guide, a recent report by the Clean Clothes Campaign and Change Your Shoes describes the shoe industry in low-wage European countries as notorious for poverty wages and bad working conditions. Avensu offer some interesting input to the discussion of leather, stating that all skins go through a chemicals-intensive tanning process whether or not this is labeled “vegetable tanning”. Leather shoes for men, women and babies. Headquarter in Canada, production in Ethiopia. Oliberté started out in 2009 partnering with factories and suppliers in Sub-Saharan Africa, later establishing its own factory in Addis Ababa in Ethiopia in 2012. All its shoes are made there, and the factory became the world’s first fair trade certified footwear manufacturing factory in 2013. Materials are sourced from within Africa: leather from Ethiopia (mainly form a tannery which is said to have the world’s only chrome-recycling system), natural rubber from Libera, South Africa, Kenya and Ethiopia, and tags and insoles form Mauritius. Oliberté is a certified B-Corporation. Boots, flats and sandals for men and women. Headquarter and production in Ethiopia. A range colourful and fun shoes made of hand-spun and hand-woven cotton, reclaimed textiles, hemp and old tires. The company puts emphasis on job creation and fair working conditions, stating for instance that its workers are paid three times the average wages in the industry. They creatively re-use materials and support traditional handcraft techniques. Sole Rebels is a World Fair Trade certified company. Boots and flats for women. Headquarter in the US, production in Guatemala. A small range of handmade shoes in leather and cotton, produced in partnership with small-scale artisans in the poor areas of Guatemala. The fabric is handwoven by women in Guatemalan highland villages using the traditional back-strap weaving technique. The shoes are stitched in family workshops in the slum of Guatemala City. The Root Collective is a certified B-Corporation. Wool trainers for men and women. Headquarter in the US, production in New Zealand and Italy. Allbirds produce trainers made of merino wool from New Zealand processed into a special fabric in Italian textile mills. The shoes are said to have a 60% reduction in carbon footprint compared to standard trainers of synthetic materials. 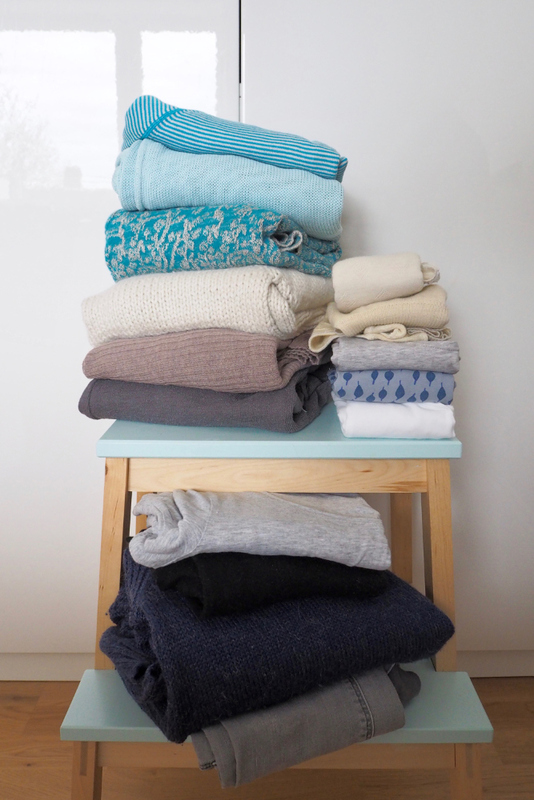 The natural properties of the wool help minimise odour, regulate temperature and wick moisture. The merino wool is ZQ certified and the company is in the process of gaining a B-Corp certification. However, there is no mention of where the shoes are manufactured, working conditions, detailed supplier lists or a code of conduct. Shoes, boots and flats for men, women and kids. Headquarter in Spain, production in Spain, Italy and Morocco. The shoes are mainly made of leather, which is claimed to be “chrome-free”. There are also some vegan alternatives made of poly microfibres. El Naturalista own three manufacturing factories across Spain and Morocco, and all its shoes are produced in these. Leather and other shoe components are sourced from Italy. There is a code of conduct and a supplier list available for download on the site. However, in the report "Trampling worker rights underfoot" by Change Your Shoes it is pointed out that the factory in Morocco and the tanneries in Italy are not included on the list. The report concludes that while the company report generically on supply chain responsibility on the website the whole supplier chain is not included. In Rank A Brand’s test El Naturalista was rated with a D, faced with the complaint that the company should be more transparent about its sustainability policies. Canvas flats for men, women and kids. Headquarter in the US, production unknown. The company's focus is on the "one for one" model and its promise to give away a pair of shoes to children in need for every pair bought. So far, about 60 million pairs of shoes have been given away through various charities and local organisations in over 70 countries. As mentioned, in the first part of the Ethical shoes guide, the TOMS model has received criticism regarding its shoe donations. This led to the investigation of the impacts of TOMS shoe donations in this recent paper published in the World Bank Economic Review. Regarding corporate responsibility TOMS states that it is working towards more sustainable materials for its shoes, like organic cotton, hemp and recycled polyester. In general terms the company states it is committed to fair labour practices and require its suppliers to comply with their code of conduct. However, I found no information on suppliers or the code of conduct vaguely referred to on the site, except for casual reference to production in China, Ethiopia and Argentina. Mainly leather shoes for men, women and kids. Headquarter in Denmark, production in Indonesia, China, Thailand, the Netherlands and by other subcontractors. Ecco emphasises quality in production and take pride in craftsmanship. It states that it is the only major shoe company to own its own production and retail facilities, which suggests that it has better control both with the quality of the production and the working conditions at these sites. Ecco’s code of conduct is publicly available on the website. Ecco did not partake in the company assessment report by Change Your Shoes. The report confirms that Ecco owns most of its supply chain, but also remarks that it uses subcontractors. The report concludes that it is fair to assume that Ecco takes responsibility to ensure fair working conditions, though it is unclear whether they have a comprehensive human rights due diligence procedure in place. In Rank A Brand's test Ecco was rated with a D, for although the company fares well with regard to its tanneries and energy efficiency, other criteria regarding labour conditions and the environment are left unanswered. Sandals and flats for men, women and kids. Headquarter and main production in Germany. Birkenstock is a family-run business in its 6th generation, claiming roots back to 1774. The company has a strong emphasis on quality and comfort in its shoes. The classic Birkenstock sandals are made of natural cork leftovers from the wine industry, sourced mainly from southern Portugal, and with soles of natural latex (or “rubber milk”). Most models have leather components, though they also have some vegan models made of poly microfibres. The company’s code of conduct is available on the website. In Rank A Brand’s test Birkenstock was rated with a C, doing well on labour conditions, but lacking information on environmental policies and climate change. Leather shoes for men, women and kids. Headquarter in Sweden, production in Bosnia, Sweden and by other subcontractors. A Swedish company with roots back to 1945, though not established as a brand until the 1970s. There is a small production facility in Sweden, maintained in cooperation with a local industry museum. The company owns a factory in Bosnia, which was established 2009 as a response to the influence of many Bosnian refugees that came to Sweden in the 1990s. This factory complies with ISO standards 9001 and 14001, and the EU Eco-label. The company also uses subcontractors, but don’t present a detailed supplier list. On its website, Kavat states that more than 50 models are certified with the EU Eco-label. Mainly leather shoes for men and women. Headquarter in Germany, production in Portugal. A small company based in Berlin, working with a shoe workshop in Porto in Portugal who manufacture the shoes. Atheist started as an art project, but grew into business in 2012 after an image of the first shoes went viral and led them to start a kickstarter campaign and launch their business. The shoes are mainly made out of leather, which is said to be “natural and unprocessed”, only vegetable dyed and gently tumbled (but see also what Avesu write about vegetable tanned leather, above). There are also one or two vegan alternatives made out of microfibre from recycled plastic. The soles are made of natural rubber. There is no specific mention of working conditions or the origins of the materials they use. On a side note, Atheist offer a very unusual, and rather macabre, custom shoes option where you can get shoes made from your dead pet’s skin. Leather boots, sandals and flats for women. A small artisan company designing and making shoes by hand in their Berlin workshop. The shoes are made of leather from over-production in the Italian fashion industry, and also reclaimed vintage fabrics.